Social media is a fantastic place where anyone can become a star. With the ability to be able to connect with millions in a brief period of time. Social media can change your life. If people like you, you can become an overnight star and have a fantastic life. 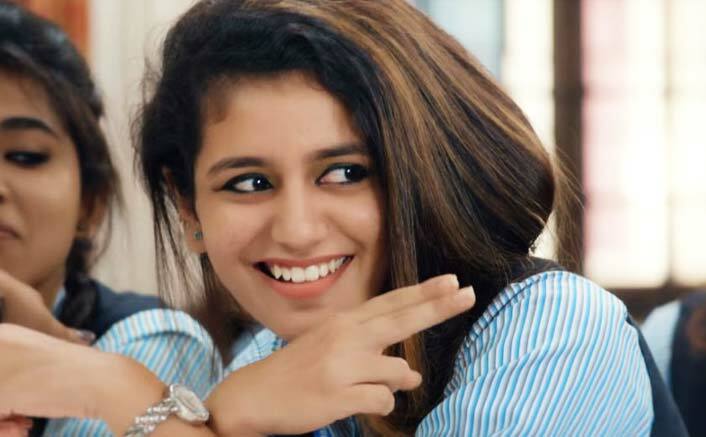 Something like this happened recently, Priya Prakash. Her wink video went viral, and she became a sensation. Everyone loved her wink and her cute expression. Now refreshing the memory here is another short video that she put on Instagram. With a wink to literally kill anyone, that’s precisely what she does in the small video. As the video stars, she kisses her finger, lock and load like a gun and shoots invisible cute bullets with a wink. Anyone would die with cuteness overload like this. And that is precisely what happened with the guy at aim. As she shoots her wink bullet towards him. It’s a refreshing memory video, and she looks fantastic. She makes us fall in love with her wink, for which we all feel powerless. She has also shown her wink in one of the advertisement of munch, in which she throws the killer wink again. Her smile and cuteness in something out of this world. And no one can escape the killer cuteness of Priya. Becoming a significant sensation, she won hearts of millions. The very first video was set in the 90s romance between the sweet couple. Which she did effortlessly, and she became queen of heart for millions of people instantly. Her fan following grew like a wildfire. It’s been quite a while since that video and people yet haven’t forgotten about the cuteness of Priya’s wink. The latest video yet again refreshes the sweet wound she gave to millions of heart. While she is busy with the promotion, we can not get enough of her cute winks. She makes us fall in love with her every time she locks and loads the cuteness pistol shot with her eyes in the form of her wink. We are delighted to see her videos, and we hope that you guys are as well.